Wireless freedom up to 350 feet. Multiple devices. Singular control. With three-way multi-device connectivity, now you can manage PC, mobile and desk phone calls with the most intelligent wireless headset system on the market. 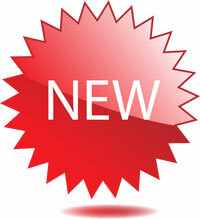 UC Standard version built for UC applications and softphones from Avaya, Cisco, IBM and more. Download the latest release of Plantronics software and get one-touch call answer/end with supported softphones. The Savi700 series is changing the way productivity-focused office professionals communicate. 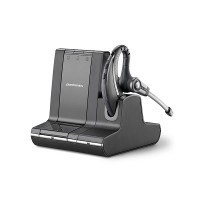 With three-way connectivity, easily manage and switch between PC, desk phone, and now mobile calls from a single wireless headset. With a new convertible headset we?ve added the lightest DECT? "headset on the market to our suite of wearing styles so you can choose the one that?s best for you. Optimized for Unified Communications, the system automatically updates your status* tobusyon PC, mobile and even desk phone calls so colleagues can see your availability. This intelligent system combines best-in-class sound quality, hands-free mobility and hours of talk time for ultimate efficiency. Once you experience a Savi 700 headset system you?ll wonder how you ever lived without it.